TACLOBAN CITY – The National Historical Commission of the Philippines (NHCP) unveiled a marker at the Saints Peter and Paul Cathedral in Calbayog City to celebrate its 105th year founding. 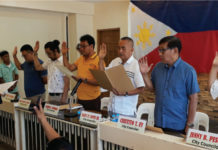 The November 25 unveiling was graced by NHCP chairman Rene Escalante, Calbayog Bishop Isabelo Abarquez, City Mayor Ronaldo Aquino and Rep. Edgar Mary Sarmiento of Samar’s first congressional district. The church will now be included in the list of the Philippine Registry of Cultural Property with the installation of the marker. The marker had erased the separation of the Church and the State which means that the government has now the power and right to help or provide fund in the preservation and protection of the church, Escalante said. “We see this structure now not just as the house of God but a national treasure; that becomes part of the history. The National Historical Commission is here to help if there are problems encounter in this structure,” the NHCP head added. Escalante cited the assistance the national government did to the churches in Bohol and Cebu provinces that were damaged by the strong earthquake that hit the two provinces in 2013. He added that since the church is now included at the Philippine Registry of Cultural Properties, the Department of Tourism will now include it in the list of historical structures that they have to promote. 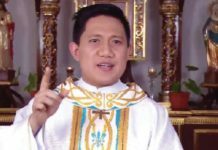 Bishop Abarquez, in his message, described the installation of the marker as a significant day for the Diocese of Calbayog. “This is our contribution to the city’s 70th charter anniversary that could help promote the tourism and the development of the city to remind the people that the improvement the city comes from the blessing of God,” Bishop Abarquez said. 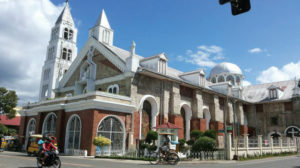 Bishop Abarquez noted that the Calbayog Cathedral is called as the mother of all dioceses in Eastern Visayas, being the first cathedral to be established in Samar and Leyte.